Let’s share insight and practical ideas. Let’s blend fun with function, and LET’S ENCOURAGE KIDS TO INCLUDE HANDWRITTEN CARDS & LETTERS IN THEIR COMMUNICATIONS. A recent news feature about the letters of world-famous figures nudged me to focus this week on the magic of writing and sending greetings to special people in our lives. Print greetings, handmade, hand-picked, handwritten, stamped and sent by “snail mail” seem to “come from the heart” more than do cards sent electronically, although many online options for creating and emailing cards exist. KEEP THOSE CARDS A-COMIN’! – Have you noticed like I have that elementary school children love to make cards to send to family members celebrating a birthday or other occasion? In my writing classes when time permits I often allow kids to draft poems for a special occasion and design a card in which to place the finished poem. You can offer your class this attention-grabbing activity, too. Slip some Irish treasures inside handmade St. Patrick’s Day cards! Everyone knows that you don’t have to be Irish (I do have a wee bit o’ the Irish in me, though) to participate in the wearin’ o’ the green on March 17! You and your class still have time to whip up St. Patrick’s Day cards for the kids to take home at the end of the week. Or you may save this plan for next year. Fold white copy paper twice to make small standard-size cards that will fit into inexpensive small white envelopes (available in “big box” and office supply stores). Invite students to design, yes design their cards before making them. NOTE: Making cards is a cool way to introduce basic design to young students. Explain that a designer has to plan the whole work before starting to draw, color, etc. What will be on the card cover, the inside and back? What words will be in the poem and the greeting? Set time for students to draw, color, write their cards. 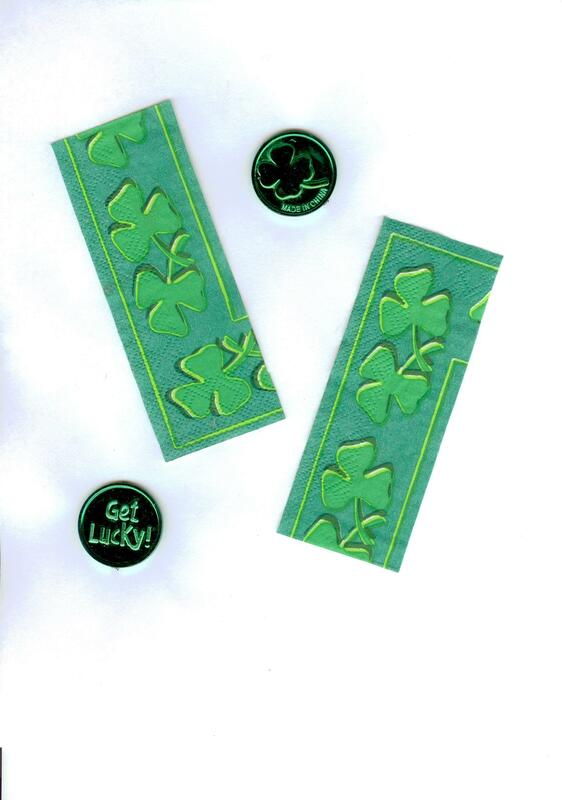 Here’s a quick clever trick for the card-making…give students short shamrock bookmarks cut from Paddy’s Day napkins and a few good luck coins, like you see in my blog pic above. Suggest that they slip the little treasures inside their cards. It’s fun to open cards that include treasure! I’ve observed, and you may have too, that kids get into the art part of card making with ease, but benefit from encouragement to write a well-developed poem and greeting that is appropriate for their grade level. 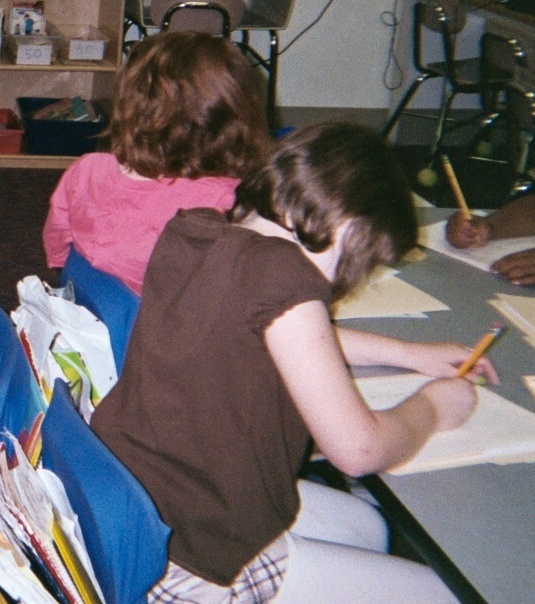 Look at the students writing in my blog pic here; you can feel the emotion that they’re pouring into their work! develop strong student writing skills. help students learn and master basic letter writing formats. encourage self-expression, noting that for some it’s easier to share feelings in print than it is out loud. create a sense of community within your school. For example, you can ask your class to write thank you letters to your custodial staff for their daily service or to your PTA for sponsoring a special program. WE’RE LUCKY ALL YEAR LONG! Invite students to write letters that show appreciation for all that your school offers them. Young kids may get a kick out of writing their letters to your school mascot or, for St. Patrick’s Day, to a leprechaun! 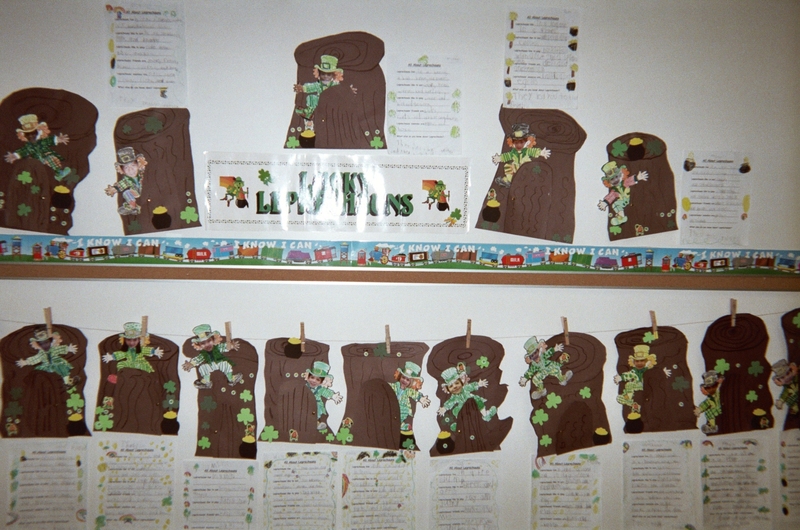 You may display the class letters on a bulletin board like you see in my blog pic here, featuring letters with leprechaun illustrations. Older students can accept the challenge of writing their letters to the principal who will cherish them, don’t you think. 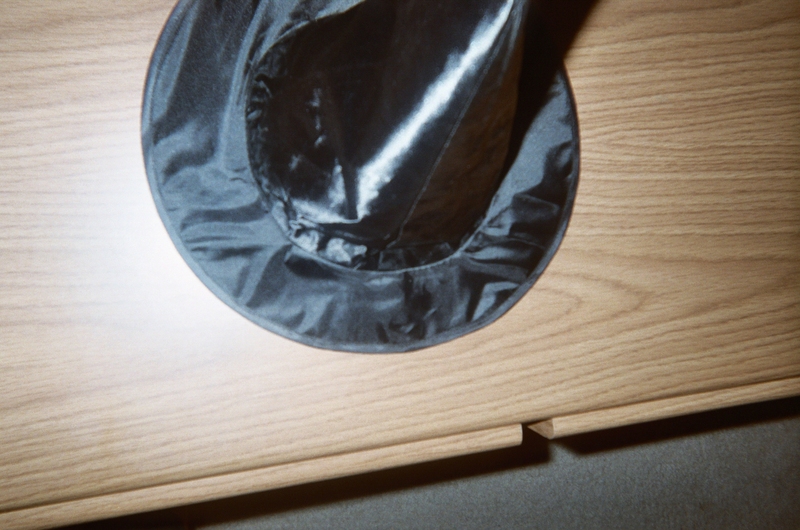 Quick and easy magical tricks to help kids learn; that’s what’s in store each week under the magic hat! 2 Pings/Trackbacks for "The Magic Hat – Mid-Week Focus – Heartfelt Greetings"